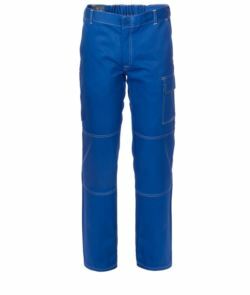 Temperature in the work environment is not a problem, we have workwear trousers that perfectly fit your needs. In low temperature you can choose between our padded or sweatshirt work trousers, in mid season, cotton trousers are by far the best choice. Browse our range of work trousers to find the perfect pair to enhance your workday. We recommended to personalized our work pants, enhance your business image with emblems, stamps or embroidery designs that showcase your company brand, logo, and/or employee names. Employees outfitted with customized uniforms become “walking billboard” advertisements for your business.